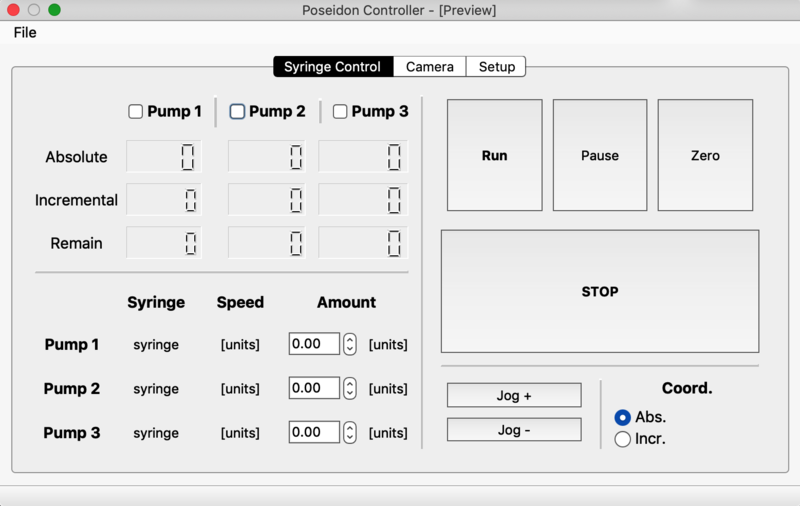 The poseidon GUI was created using Qt designer, a drag and drop application for organizing buttons that allows the used to easily make modifications. This GUI is used to interface with a Python script that controls both the microscope and Arduino via USB. 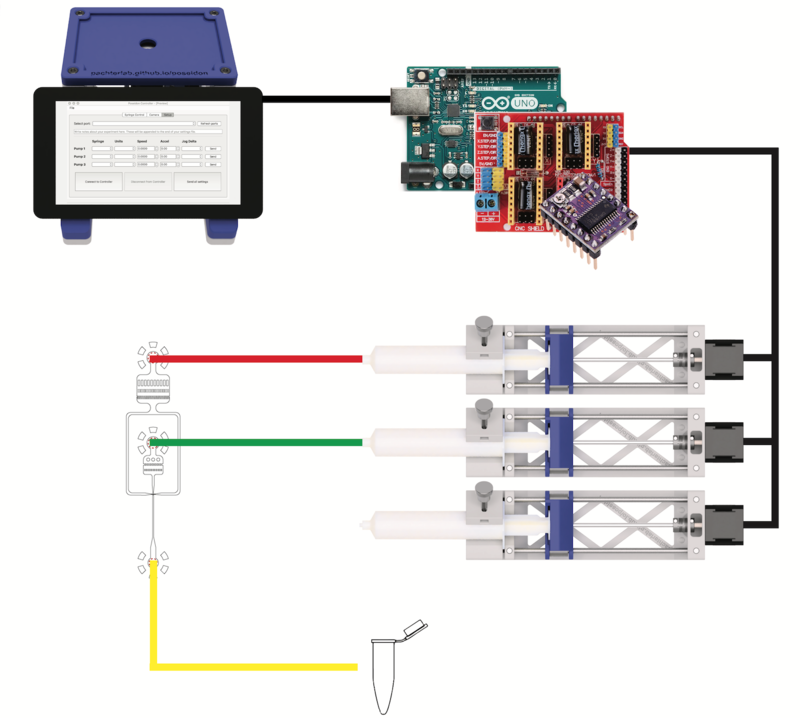 The pumps are driven by an Arduino board that interprets commands sent via USB and sends the proper signal to control the stepper motor movement. The user can take advantage of this by developing custom movement patterns using the Arduino functions. To run the poseidon GUI controller you have the option of either running from the source code in Python or choosing the appropriate binary file from the poseidon releases page and executing it. The Python scripts are available in the repository SOFTWARE folder. The two Python scripts needed are poseidon_main.py and poseidon_controller_gui.py. Before you can run the GUI controller, the Arduino should be flashed with the arduino_serialCOM_v0.1.ino sketch, available the SOFTWARE folder. You have appropriately placed jumpers on the CNC Sheild to allow for microstepping and hardware enabling, as shown in the arduino CNC shield build video. A schematic of how the system parts connect is shown below.